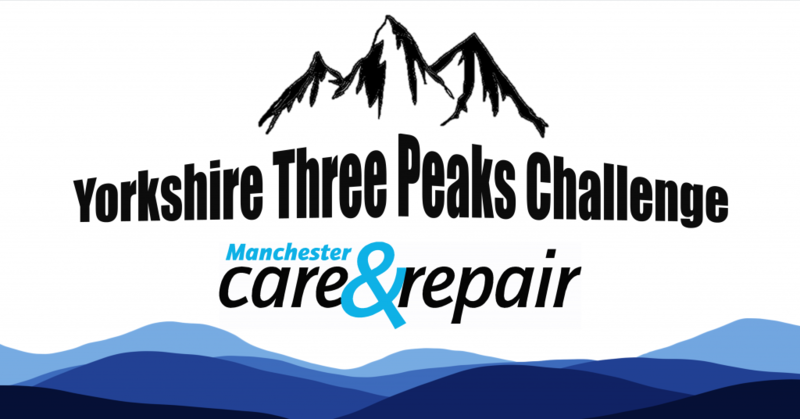 This fundraising event has been kindly sponsored by South Manchester Heating Ltd.
Take on the legendary Yorkshire Three Peaks and help raise funds for Manchester Care & Repair. Starting at Horton-in-Ribblesdale, the walk is approximately 25 miles in length with an elevation gain of over 1,000m. During the challenge you will be supported by a qualified Mountain Leader from ‘Lost Earth Adventures’ guiding you all the way. Are you up to the challenge? Manchester Care & Repair are looking for walkers to conquer the famous Yorkshire Three Peaks and to raise vital funds for the charity. Expression of interest and £20 payment are required to secure a place on the challenge. This must be received no later than 17th May 2019. For more information or to sign up please call Mike Burgess or Lizzi Norton on 0161 872 5500 or send us an e-mail. This entry was posted on Tuesday, March 5th, 2019 at 3:15 pm	and is filed under Event. You can follow any responses to this entry through our RSS feed. You can skip to the end and leave a response. Pinging is currently not allowed.